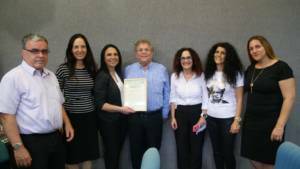 The annual conference of the Steinberg Institute for Heritage and Social Inclusion, in memory of the late Sci Tech Network’s President, Mr. Uziel Steinberg, was held this year in the Sci Tech Network’s Moshinsky Center for Research & Development. 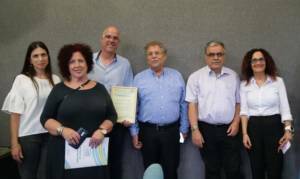 The conference was attended by Sci Tech Network’s Director General Zvi Peleg; Dr. Ruthi Cohen and Mr. Benny Steinberg, representatives of Uziel Steinberg’s family; members of Sci Tech Network’s Headquarters; representatives of Sci Tech’s R&D Center; representatives of school administrations; heritage programme coordinators, and leading teachers in the subjects of heritage and civic studies. The Steinberg Institute for Heritage and Social Inclusion operates within the Israel Sci Tech Network to promote development and integration of heritage and civic studies, to enhance young people’s ability to grow into caring, involved citizens, based on knowledge, a sense of belonging, and a cohesive identity. Such firm infrastructure is an important prerequisite for the establishment of relationships based on respect and trust across Israeli society. The conference showcased the educational initiatives which the Steinberg Institute supports year-round. It also included a discussion among school heads and coordinators regarding schools’ present and future needs in the fields of heritage and civic studies. Later on, a series of workshops was held, unveiling new training programmes for the forthcoming school year. Sci Tech Yuvaley Ariel for their exceptional work in preserving the accounts of the town’s pioneers, and their outstanding effort to strengthen inter-generational bonds. For the development and integration of the subject of heritage among the pupils, for the passion and high-quality activity, and also for the inspiring, empowering, and supportive leadership shown by the school’s management. Sci Tech Dekel Vilnai Maale-Adumim for outstanding capacity in creating an atmosphere of perseverance and passion for cooperative learning among students and teachers, for honest reflection and review processes meant to improve the quality of activity in the fields of heritage and social inclusion, for the exceptional involvement of the school’s management in learning and integration processes, and for the innovative paths of development. Sci Tech Tel Nof for outstanding activity in imparting values, for exceptional effort to get students to know and love their country, and for nurturing the students’ professional capacity ahead of joining the IDF. As well as for the passion for learning, as indicated by an exceptional volume of teacher training, which should be considered a role model for the Israeli education system as a whole. 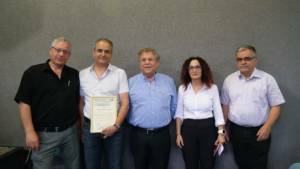 Sci Tech Rabin Gan-Yavne for outstanding development and integration of the fields of heritage and social inclusion across all aspects of the educational activity in the school and its surrounding community. 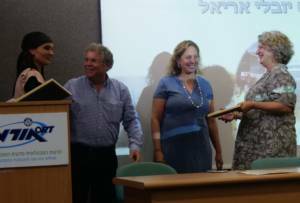 And for exceptional empowerment of students to become social leaders, which makes this school a role model for the Israeli education system as a whole. 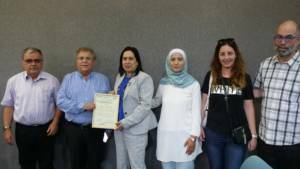 Sci Tech Ma’alot Tarshicha for their outstanding effort to preserve Arab culture, and to impart it to the students and their community. For spreading appreciation for the country, and for humanity as a whole, among all members of the school community. For the innovative, unique development of a matriculation unit in Heritage Studies combining contents relating to all social sectors, which should be considered a role model for the Israeli education system as a whole. 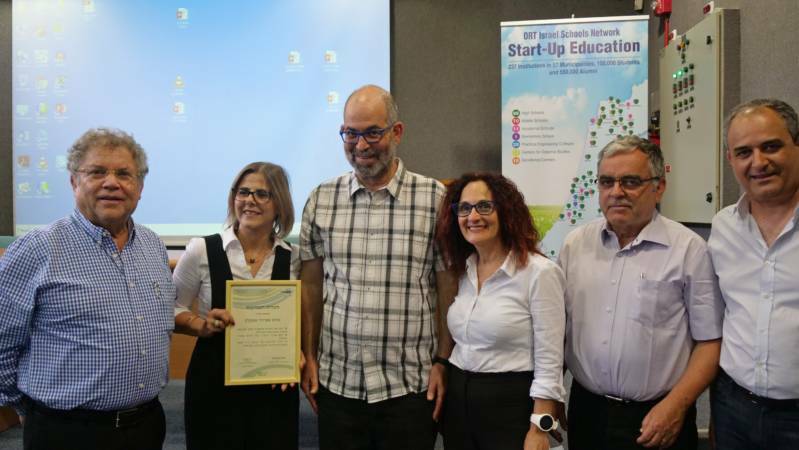 Sci Tech Rogozin Migdal-HaEmek for outstanding development and integration, involving a large portion of school staff, who showed commendable dedication and perseverance. For the involvement of the school’s leadership in promoting discourse, empowering the human spirit and highlighting Israeli heritage. For innovative initiatives addressing issues of shared life, which should be considered a role model for the Israeli education system as a whole. 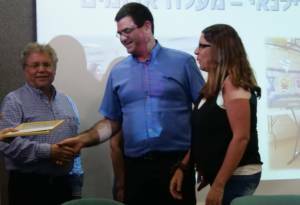 Sci Tech Afridar Ashkelon for outstanding development and integration of the fields of heritage and social inclusion, both in the school itself and in its surrounding community. For maintaining an inspiring array of training courses and frameworks for Torah studies. For the innovative spirit of the school’s leadership in promoting appreciation for the country and its heritage.